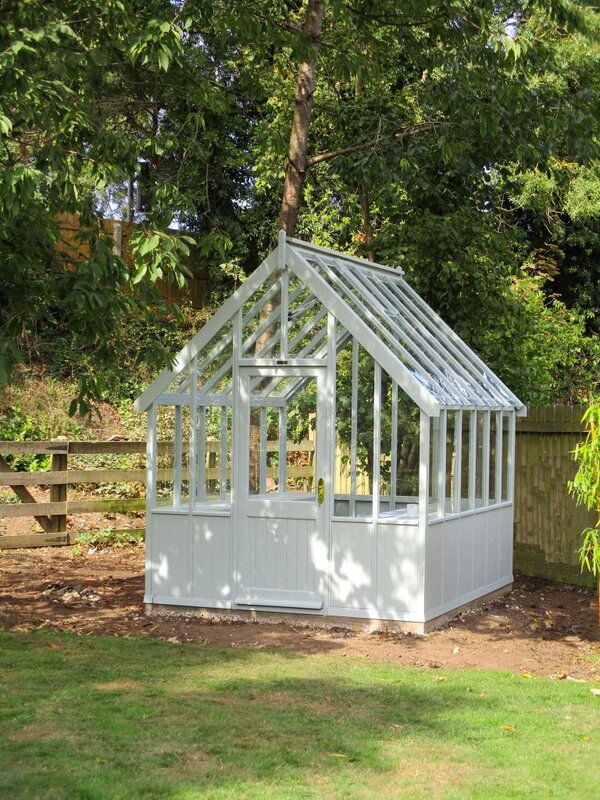 Available in a range of sizes, the Greenhouse measures 2.4 x 3.0m and is fabricated using 4mm toughened safety glass and shiplap timber. The greenhouse is painted in the exterior shade of Verdigris, which was selected by the customer from our vast range of paint finishes, including a Farrow and Ball palette. 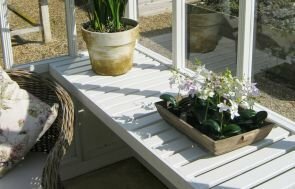 The interior of the Greenhouse boasts two slatted workbenches for increased storage and shelving options, as well as two automatic-opening roof vents that are temperature controlled, so that any precious potting plants remain comfortable. 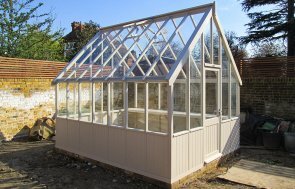 If you would like to browse our range of Greenhouses, you can do so online or by visiting us at one of our showsites. With several based across the country, we have a show site based in Surrey at the Hillier Garden Centre in Windlesham. Here you can expect to find up to 25 different display buildings and a team of friendly advisors on hand to assist you. Locate your nearest here. You can also get in touch with us to discuss your ideal building.